It takes University of Toronto student Syed Imam about an hour and a half on public transit to get to the university’s downtown Toronto campus from his home in Mississauga. That’s almost three hours of daily commuting, five days a week, for Imam, who studies civil engineering in the Faculty of Applied Science & Engineering. Recognizing the urgency of the issue, the presidents of Toronto’s four universities – the University of Toronto, OCAD, York and Ryerson – are teaming up for a new initiative called StudentDwellTO, bringing together almost 100 faculty and students to take an in-depth look at student housing in the GTA. “It’s yet another example of how the impact of our collective efforts can be far greater than the sum of individual contributions,” says Shauna Brail. An associate professor, teaching stream, Brail is U of T's presidential adviser on urban engagement and director of the urban studies program in the Faculty of Arts & Science. This follows a previous collaboration among the four presidents – a massive survey of student travel behaviour called StudentMoveTO. That survey uncovered an unsettling narrative – students said a lack of housing affordability led to longer daily commute times, lower levels of campus engagement and, in some cases, hidden homelessness. Considering the number of post-secondary students in the GTA – more than 180,000 spread across seven campuses – these findings are a big deal, says Brail, who will be U of T’s representative for StudentDwellTO’s steering committee. University of Toronto president Meric Gertler agrees, emphasizing the importance of a rich co-curricular life for undergraduate and graduate students. “The opportunities for knowledge exchange are pretty incredible,” says Kearon Roy Taylor, a graduate student at the John H. Daniels Faculty of Architecture, Landscape, and Design and one U of T’s two student leads on the project. Results of the 18-month initiative, which will include a heavy research component, and data collection from a wide-scale survey and focus groups, will be made public. The subject matter will also be incorporated into courses, which will look at case studies from around the world on how to make housing more affordable. The collaborative nature of StudentDwellTO across a variety of disciplines will encourage creative thinking, says Mauricio Quiros-Pacheco, an assistant professor, teaching stream, at the Daniels Faculty and one of the project’s academic leads. And because there’s no particular outcome expected, the teams will be able to experiment with a variety of ideas. “We can be a bit more daring, going deeper into studies, trying to understand the potential of the city and the four institutions to address the crisis,” he says. Marcelo Vieta, an assistant professor at U of T’s Ontario Institute for Studies in Education, is looking forward to applying this kind of out-of-the-box thinking to StudentDwellTO research. 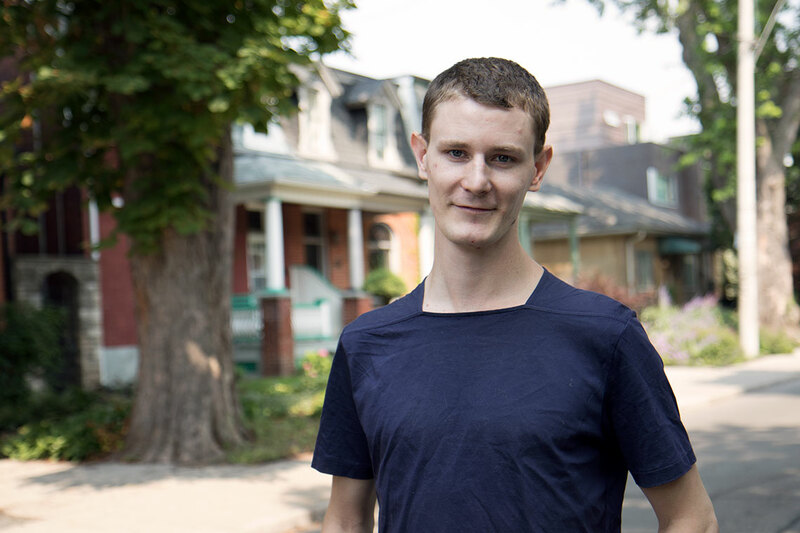 StudentDwellTO has the potential to positively influence the affordable housing landscape in Toronto, but in order to do so, it’s crucial that students play a central role in both their input and research contributions, says Brail.